Thomas Kinkade's disney Paintings - The Little Mermaid. 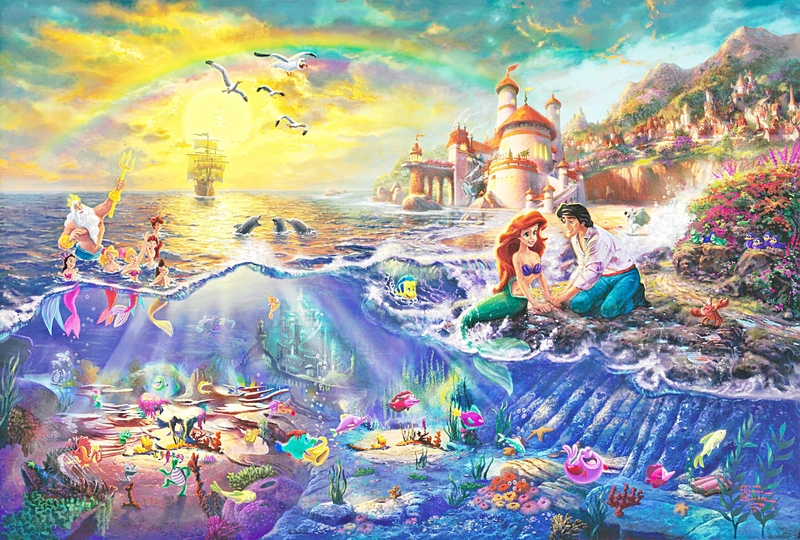 Walt disney Painting of Princess Ariel, Prince Eric, King Triton, Ursula, Scuttle, Max and many other characters from "The Little Mermaid" (1989). HD Wallpaper and background images in the personajes de walt disney club tagged: walt disney characters walt disney paintings the little mermaid princess ariel prince eric ursula sebastian flounder scuttle.